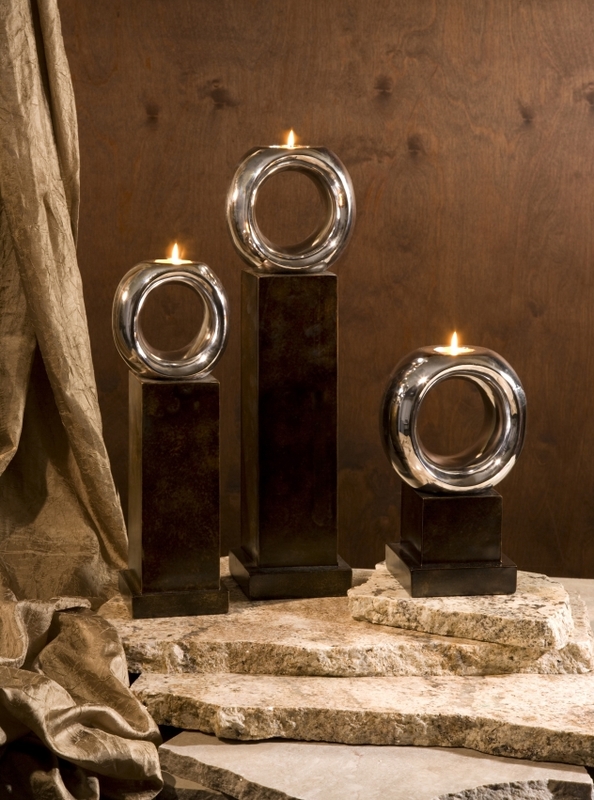 Create an eye-pleasing multi-level display with this set of three votive holders. The Ellipse votive holders evoke the sophisticated simplicity. With bright silver bands set on chunky shapes they are a fresh statement for any room. Set of 3. Hold pillar candles. Create an eye-catching display with this trio. • Small: 10.52" high, 4.5 " wide, 5.5" deep. • Medium: 15.25" high, 4.75" wide, 6.25" deep. • Large: 20.25" high, 5" wide, 6.5" deep.